Heading-off for a family holiday to explore the Hérault and its beaches? 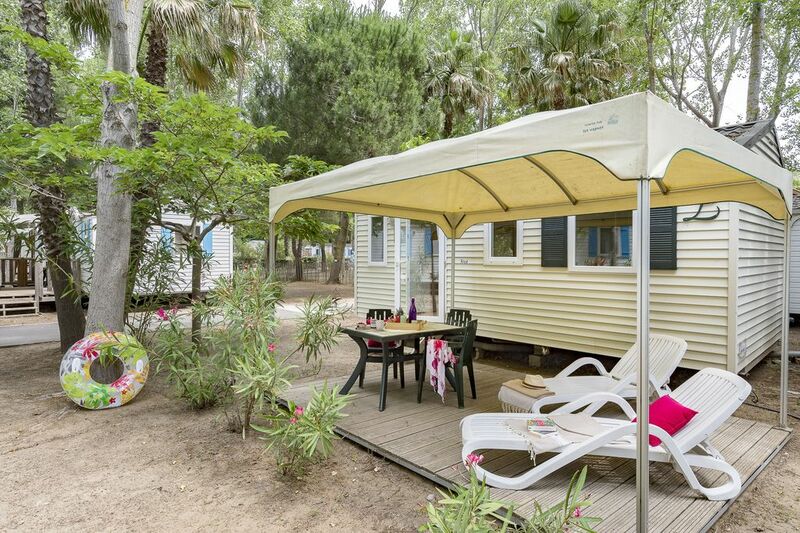 Discover our mobile home that sleeps 4 people for a camping holiday in Vendres-Plage, with its fully-equipped kitchen and terrace with parasol and sunloungers. Drop your bags and head straight for the water park to enjoy the swimming pool in the Languedoc sunshine!